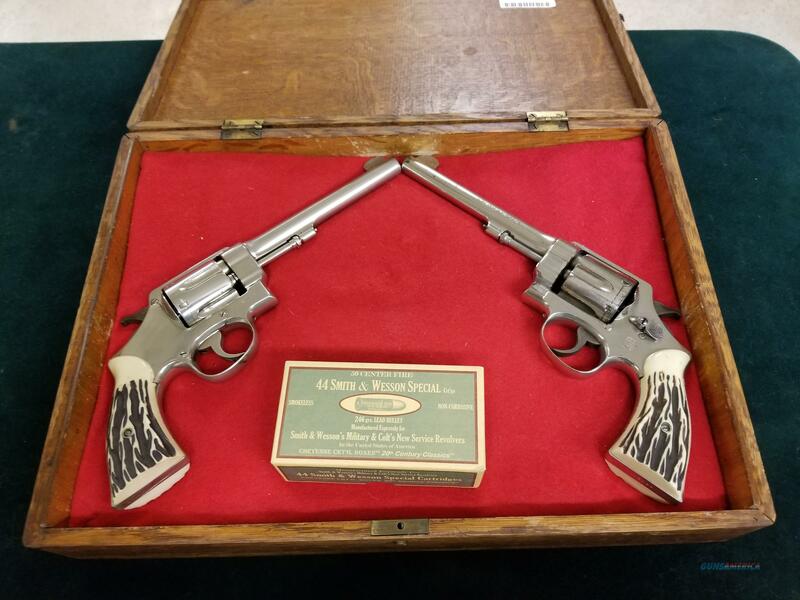 Description: A pair of Smith and Wesson Hand Ejectors. Nickle plated in presentation box. one shows holster wear from being carried by Kansas lawman.